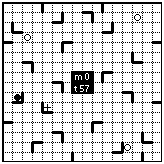 Ricochet is an implementation of the Ricochet Robots game. Ricochet Robots is a registered trademark of Rio Grande Games. 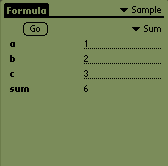 Formula is a programming language and UI built for performing repetitive numeric computations. Patience is a collection of solitaire games. I'm using the excellent GCC port maintained by Jeff Dionne.